Consider this post twice-honorable, as both thanks to those who served in our armed forces and for the life of all-time slugger Harmon Killebrew, who passed away on May 17th, 2011. America's first Memorial Day remembered fallen Union soldiers (as Declaration Day in Charleston, South Carolina), but grew over the years to encompass all service men and women. Baseball grew significantly in the wake of our Civil War, enough to spur pro players and leagues by the 1870s. (Find more details at Wikipedia.) 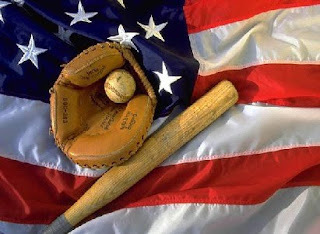 Many of America's 20th century pros served during WWI, WWII, and later wars, most trading a sports uniform for the combat version without hesitation. 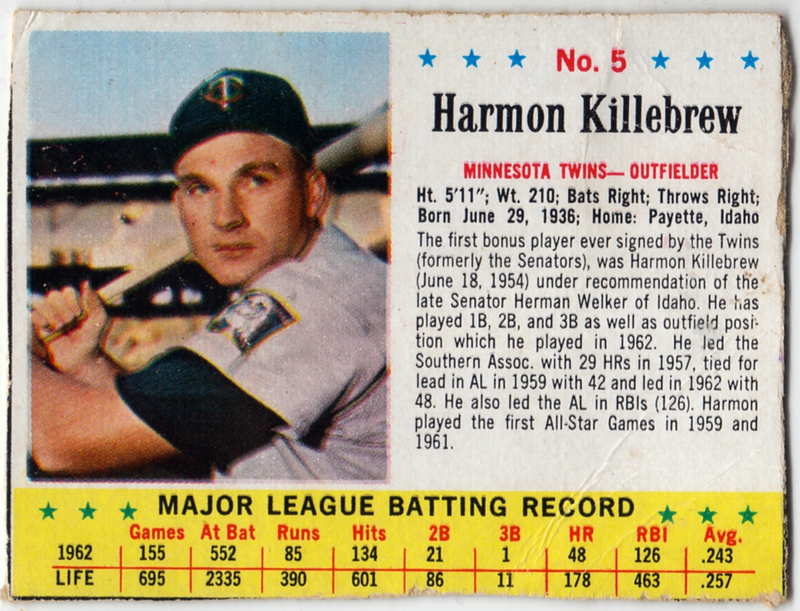 While too young to fight in WWII, future HOFer Harmon Killebrew "served" during Vietnam as a goodwill ambassador to active troops, joining other MLB greats on a 1966 tour around South Vietnam. The roster also included Stan Musial, Hank Aaron, Joe Torre, and Brooks Robinson--here's an AP Photo of their departure on Nov 2. Most see this card and think of Post cereal because boxes of JELL-O pudding printed the same set of 200 players in parallel that year. The two brands show only cosmetic differences (JELL-Os are slightly smaller and use a narrower red stats divider), so dealers sometimes sell one version as the other. This complicates things for buyers, as some players are hard to find as one brand, but not for the other. Advanced collectors say completing a JELL-O set proves quite difficult, but low-grade type cards should cost less than $5. UPDATE: Thanks to Night Owl Cards for including a scan of the 1963 short prints from his article about 1983 Beckett issues. Value: Bought this for $10 at a show in 2005. Cutting quality makes a big difference in price and full boxes cost several times their trimmed equivalents.